This Cherubs Solar Angel Light Statue will make a perfect addition to your garden, lawn, patio or any outdoor setting. 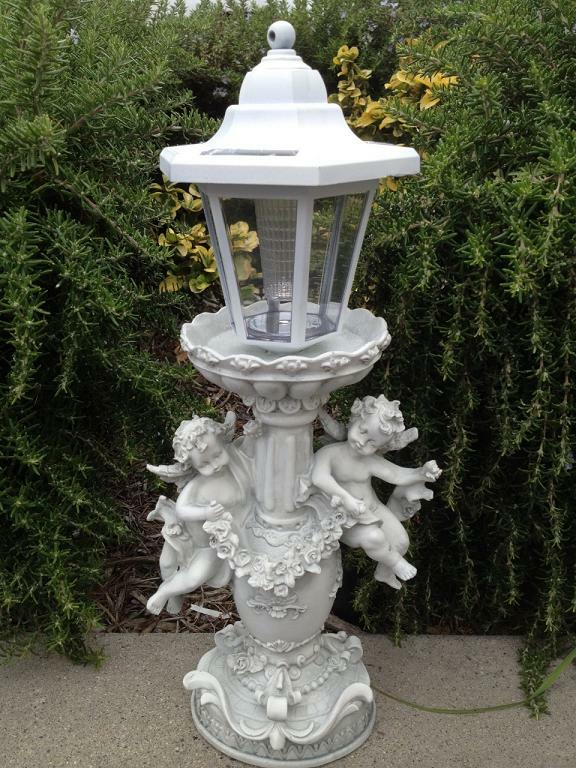 This solar angel light features two little enchanting angels poised around the decorative pedestal with a solar lantern on top to keep a watch over your garden at night. During the day the solar panels collects energy from the sun to charge the install battery then at night the solar lantern will illuminate throughout the night up to 8 hours.